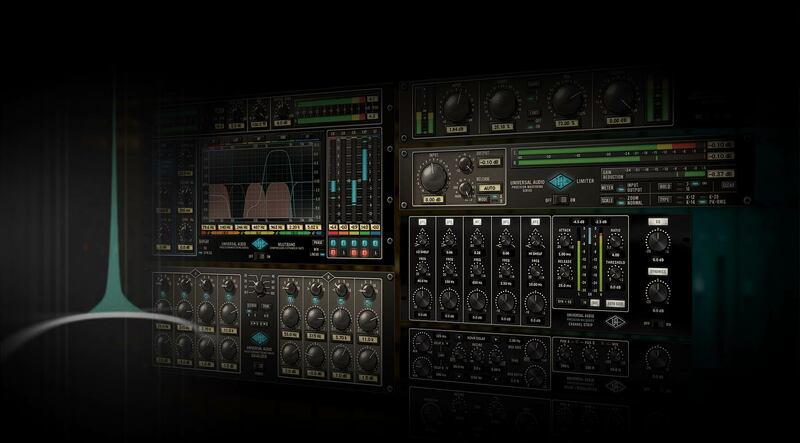 Featuring four modern, high-fidelity plug-ins for recording and mixing, the Precision Mix Rack Collection for UAD-2 hardware and Apollo interfaces gives you powerful and intuitive tools for creative tone shaping. Included in all versions of the Analog Classics and Realtime Analog Classics plug-in bundles, the Precision Channel Strip, Precision Reflection Engine, and Precision Delay Modulation plug-ins offer an impressive tool set — perfect for beginners and seasoned professionals alike. Love this plugs, very useful for low cpu usage and . CS-1 extremely useful for me! I think this plug-in is awesome, plenty of knobs to tinker with, and comes with a lot of good and interesting presets. I found the two drum presets a great starting point on a bus or directly on the track. really good enhancer, honest, eq and combressor its really useful! I love this plug. Not many channel strips have a delay component. I use the individual parts quite often (especially the DM-1L as an easy to use delay). I really like the reflector, a very useful tool. Compressor works pretty well and the eq can yield good results if you take some time with it. Overall, a very solid offering using only a little DSP for the best price – FREE. The CS-1 came to me as a free channel strip plug-in. I have never been a major fan of full channel strip pugs, but I have caught myself using this several times when a track needs a little of everything. The interface is easy to use as well. Very cool freebie. i use this plugin TONs. Especially the FX section of it. I dont know of any other company that offers this quality of a plugin without having to pay for it, and with UAD its free. I just started playing with this tonight but I can tell it's likely going to be used on my vocal bus for some time to come. It sounds great. I opened a song I was working on and was able to remove the 6 (i think) plug ins I had on on the vocal bus and replace them with this one and I think it sounds better. The EQ especially won me over. EXTREMELY smooth. Very self explanatory plug in. Within minutes I had it dialed in great with the song. Extremely happy with this!! I really dig this plugin on keyboards and synthesizers. In some cases it will even work well on horns if you're going for an effected vibe on a solo or something similar. Very cool on vocals. High quality plugin. A very useful tool for different solutions. I think it's great that the individual parts can be used separately. Need it more for tracks that are more in the background like background vocals and so. Because I use a 27 "screen it would be great if I could zoom the Plug-In for a better view. In the evening my eyes are sometimes very tired when I have to adjust things so small on the screen. This came with my apollo quad. Totally solid channel strip. Everything you need to get going. Do not forget this plugins. The compressor is one of the best i have software or hardware. The reflector is a very good tool. Is a 3 d plugin. And the delay is great as chorus or slapback. I am very happy to have this tool. I gave the CS-1 a little love even though I read a lot of negative reviews on it. I have to say it's just ok. I imagine it has moments where it will be a good tool (maybe while tracking?!) but I can't see open many instances of this in my world. The compressor is very well suited for processing of various material, although it is always possible to find a replacement. EQ, a little harsh. Delay and reverb, not used in the work. CS-1 Channel Strip Plug-In is a plug-in but is good quality that can be used free of charge from the beginning. I have been playin with this one now since it came in. It get's some things done in a hurry. Three Plugins in One, you get a EQ/Compressor, a delay section, and a "reflection engine" which i think of as a Reverb. You can use them all in together with each other like they come or you can use them individually in combination or by themselves. Also for the Delay section there is a bonus DM-1L unit that uses more DSP but you can achieve longer delay times if that's the sort of crazy thing you are looking for. I never would have known any of this if I didn't decide to thoroughly read the manual, Read your manuals people!! I don't really think that is plugin does much for me. I can't say I'd use this over any of the other plugins I have or that Universal Audio makes. It's OK. I find the CS-1 to be a highly under-rated workhorse that never fails to give excellent results. It's been my go to plugin for tracking vocals on both of my albums but also gets the job done on instruments as well. Best of all, you can't beat the price!